Just in: Mitsuko Uchida has sadly had to cancel her Royal Festival Hall recital tomorrow. They have found a replacement. His name is Krystian Zimerman. He will play Szymanowski Mazurkas Op.50 Nos 13, 14, 15 and 16 and Schubert's two final piano sonatas, D959 in A major and D960 in B flat. 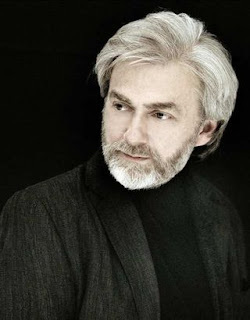 Zimerman has not given a London recital for something like six years, so this is all rather amazing. Call the box office PDQ on 0207 960 4200.